Cycling at night can be dangerous if others cannot see you. Small reflectors help, but they are dependant on someone shining a light on your bike. That might be a little late to prevent an accident. You need to improve your visibility while cycling at night. 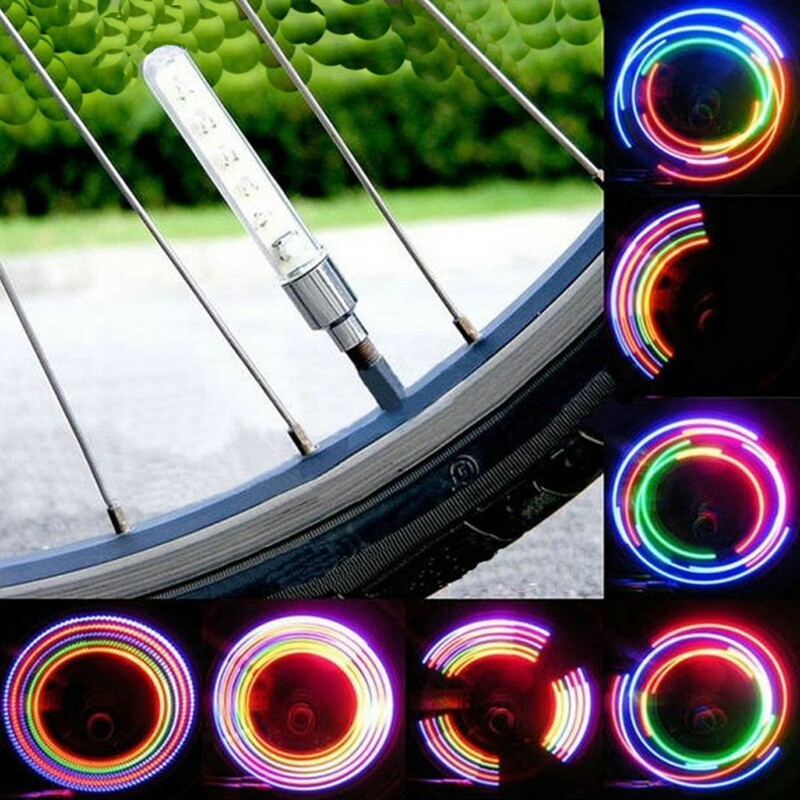 These LED lamps attach to the air valve of your wheels creating a highly visible circle of light while you are moving. This is a great safety aid as it helps to ensure you, or your kids, are seen easily at night. They look really cool and it will be hard to miss you with these on your bike.